The Loire Valley has a very rich cultural background and is well known for its castles which are as diverse as they are numerous. Built centuries ago, these castles look as grand and majestic as they ever did, thanks to the careful restoration, and even rebuilding, that was undertaken to restore and preserve them. There are over 300 Loire Valley Castles that you can visit, each of which is a magnificent sight to behold, with their turrets, lanterns, dormer windows, gables, and elaborate chimneys. Here we’ve listed some of the best ones that are a must-see during your visit to this beautiful region. 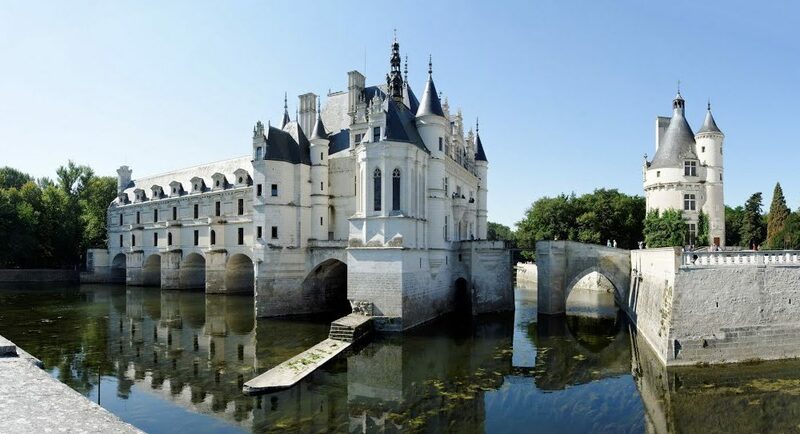 Built architects of the Louvre and Vincennes before 1560, and located at the eastern border of the Loire Valley, this magical castle stands in an enchanting moat which reflects its shining white stone exterior. The ‘big daddy’ of all castles, Chambord is massive and extravagant. It’s said to rival even the ‘Versailles’ with its splendor. This castle rakes in an impressive 7 million visitors each year, which makes it the largest attraction in the Sologne region. This magnificent structure stands high above the rest of the town of Blois. The grandeur of this castle was achieved over centuries. The inside is beautifully furnished and comes with an intriguing (albeit bloody) history. Unlike many of the Loire Valley castles on our list, this castle still belongs to the same family that built it in the 17th century. The design of this elegant castle is symmetrical with the central facade of this structure flanked by square pavilions. This white stone chateau is perched majestically on a hill that overlooks the Loire Valley and is host to an annual Garden Festival. A huge international event which runs all summer long from April through October. The Amboise Castle was rebuilt by Charles VIII in 1492. It has gorgeous gardens and offers panoramic views of the surrounding countryside as well as a rich history of the French monarchs who lived there. Famous for being the residence of Leonardo da Vinci, this small castle in the town of Amboise is located very close to the King’s castle. It’s made of stone and brick and was also used by monarchs as a summer cottage. This is one of the most stunning Loire Valley castles you’ll see during your visit. It’s built right across the Cher river and has lovely Gobelin tapestries inside. It also boasts paintings from Reubens, Poussin, and other famous masters in the grand gallery which overlooks the river. This castle is situated in the middle of the river Indre and has beautiful towers and turrets that make it look as if it came straight out of a fairy tale. Inside it has stately staircases, richly decorated rooms with exquisite tapestries, and other extraordinary features that are a must-see during your visit. This is among the oldest fortified Loire Valley castles with its huge walls and defensive towers. It has been partially restored and walking around the ramparts, you have great views of the delightful medieval houses that fill the streets in the town of Chinon.